Das Best Western Plus O2 ist ideal in Indore Stadtzentrum zu finden. Erleben Sie ein schöner Aufenthalt in der Nähe von alle Sehenswurdigkeiten. Bestpreisgarantie und exklusive Angebote. Das Best Western Plus O2 ist eine neu erbaute Anlage im Zentrum des Geschäftsbezirks von Indore. Dies ist ein 4-Sterne-Hotel mit 102 Zimmern, ausgestattet mit Kaffeemaschine/Wasserkocher, Kühlschrank, High-Speed-Internetzugang, Klimaanlage, Gratis-Zeitung und mehr. Genießen Sie, was das Hotel zu bieten hat: Hallenbad, Dampfsauna, Whirlpool, Massagen und Fitnessstudio. Buchen Sie noch heute im Best Western Plus O2. Willkommen bei Best Western. "Nice Hotel in Main City"
"At home feeling away from home"
We stayed at this hotel in Feb 2019 and had a very good experience. The room was very good - we got an executive suite. The service was excellent. Particularly Aniket who took us to our room on checking in gave us all the info without missing anything- his communication and courtesy were impeccable. Dinesh at the front desk who followed up on our travel requirements (car) was also fantastic. He took complete ownership for what he did. I suffer from several allergies, nevertheless great care was taken to make dishes suitable for me. All in all, a very good experience.The only area of improvement was that the hotel has "smoking" executive suites even on non smoking floors. We stayed on floor 2. This results in a smell of old tobacco which is obnoxious in the carpeted corridors. I would suggest keeping the entire floor "non smoking" including the corner suites. Am frequent Traveller. Visited this property in Indore for the first time. The location was good. The ambience was decent with modern touch. I was shocked to see the size of rooms. It was all cramped. Like a cage. The washroom was horrible. I mean the pot , basin shower were all placed at random. The floor had approx 10-12 rooms and really you can hear every single time the door opens or.closes. to add to.my misfortune the occupant in adjacent room watched the tv til 1 am and without any choice I have to listen that. "A great place to stay at Indore"
Great place to stay when you are travelling for business. Conveniently located and even the room are tastefully decorated. The best part is service of their staff. Cordial, professional and always ready to help. And did I mentioned about food? Its really really good..for all my next visits, this is surely going to be my preferred choice of stay. My Stay here has been excellent. Cleanliness of Room is good and aesthetic.Room service has been prompt when ever it is required. The service provided by staff at Restaurant is excellent. The approach of staff at Reception is nice. Dear Guest, It is our great pleasure to have you stay with us. We are delighted that you experienced the quality and service substantial. Thank you for recommending our hotel to the TripAdvisor community and posting a marvelous review of the hotel. It is indeed delightful to see that our services exceeded your expectations in every way. That has always been our endeavor at Best Western Plus O2, Indore and your encouraging words have only fueled us further! We have a great team at the hotels, which are always willing to go that extra mile to deliver "straight from the heart" service to our guests. At Best Western Plus O2 Indore, our constant effort is to make it little bit better for our patrons every day. The biggest satisfaction for us to see joy and smile on your face. Encouraging words like these ones go long way to keep the team motivated and we assure you that it will be our constant endeavor to provide warm and personalized hospitality to all our guests. We look forward to serve you again soon at Best Western Plus O2, Indore. Warm regards, Sanjeev Kumar General Manager, Best Western Plus O2. "i CHECKED IN HOTEL LATE BUT THEY UPGRADED TO SUITE ROOM. AWESOME"
This property is very good right from reception, restaurant and Food is very delicious. The buffet breakfast is very delicious and continental food with Indian cuisine. I appreciate there fast check-in and also check-out. The rooms are decorated and has all amenities for any type of traveler. Dear Guest, Wish you a very "Happy New Year". It is our great pleasure to have you stay with us. We are delighted that you experienced the quality and service substantial. Thank you for recommending our hotel to the TripAdvisor community and posting a marvelous review of the hotel. It is indeed delightful to see that our services exceeded your expectations in every way. That has always been our endeavor at Best Western Plus O2, Indore and your encouraging words have only fueled us further! We have a great team at the hotels, who are always willing to go that extra mile to deliver "straight from the heart" service to our guests. At Best Western Plus O2, our constant effort is to make it little bit better for our patrons every day. The biggest satisfaction for us to see joy and smile on your face. Encouraging words like these ones go long way to keep the team motivated and we assure you that it will be our constant endeavor to provide warm and personalized hospitality to all our guests. We look forward to serve you again soon at Best Western Plus O2, Indore. Warm regards, Sanjeev Kumar General Manager, Best Western Plus O2. "Not exciting, staff trying, but unable to deliver "the experience""
Dear Guest, It is our great pleasure to have you stay with us. We have specifically noted the feedback shared by you about our hotel. I assure you, in the coming times, we will be able to offer a much better product to exceed your expectations. We regret the specific inconvenience encountered by you during your visit about quality of food & room. We have noted it sincerely & the needful has been done. However, we are delighted that you preferred to visit with us in the first place. Exceeding guest expectations has always been our endeavor at Best Western Plus O2, Indore. Having said that, we would be delighted to have you visit with us during your next visit to Indore and assure you to experience our true hospitality. We look forward to serve you again soon at Best Western Plus O2, Indore. Warm regards, Sanjeev Kumar General Manager, Best Western Plus O2. "Good Infrastructure Rude Staff Best Location and OK Food"
The first impression of the hotel is not so good but property is very well invested and properly maintained. Staff is definitely rude for most of the services. I liked swimming pool a lot bu couldn't use in winters. Standard rooms are small. Food is not so good but location is pretty good. You canreach almost all famous places in 10 minutes. Book it if you are really getting a good deal. Dear Guest, It is our great pleasure to have you stay with us. We have specifically noted the feedback shared by you about our hotel. I assure you, in the coming times, we will be able to offer a much better product to exceed your expectations. We regret the specific inconvenience encountered by you during your visit about check in policy & food taste. We have noted the concerns sincerely & the needful will be done accordingly. However, we are delighted that you preferred to visit with us in the first place. Exceeding guest expectations has always been our endeavor at Best Western Plus O2, Indore. Having said that, we would be delighted to have you visit with us during your next visit to Indore and assure you to experience our true hospitality. We look forward to serve you again soon at Best Western Plus O2, Indore. Warm regards, Sanjeev Kumar General Manager, Best Western Plus O2. Booked with makemytrip and value for money.A good business hotel to stay in and hotel is located in South Tukoganj, very near to 56 Dukan. Rooms are clean and comfortable but the room size is small. Hotel is good for Business trip. "A fine hotel with good quality and standards"
Initial outside view was not so impressive from the main road, but when you enter the hotel it is quite good. The staff was very courteous and the atmosphere was great. The hotel location is apt for the city tour. The breakfast was absolutely stunning. It had all the varieties and even the south Indian cuisines like idli and dosa were of good quality. Service quality was very good. We had once a small issue with the TV in the room, when we complained about it a technician was sent immediately and he promptly repaired it instantly. Room looks were good; the bathroom area appears a bit old but no issues at all. Taxis and autos are readily available immediately outside the hotel. Overall the experience was great and I recommend this nice hotel to anyone who visits Indore. Dear Guest, It is our great pleasure to have you stay with us. We are delighted that you experienced the quality and service substantial. Thank you for recommending our hotel to the TripAdvisor community and posting a marvelous review of the hotel. It is indeed delightful to see that our services exceeded your expectations in every way. That has always been our endeavor at Best Western Plus O2, Indore and your encouraging words have only fueled us further! We have a great team at the hotels, who are always willing to go that extra mile to deliver "straight from the heart" service to our guests. At Best Western Plus O2, our constant effort is to make it little bit better for our patrons every day. The biggest satisfaction for us to see joy and smile on your face. Encouraging words like these ones go long way to keep the team motivated and we assure you that it will be our constant endeavor to provide warm and personalized hospitality to all our guests. We look forward to serve you again soon at Best Western Plus O2, Indore. Warm regards, Sanjeev Kumar General Manager, Best Western Plus O2. Hotel with great location & service quality is good. Must try Chat in Dinner Buffet as there is live counter for Papdi & Chat. Hotel is nearby main places and good for business trip. They have tied by with GYM facility next to hotel which is a bit let down as one has to come out from hotel to enjoy the same. Dear Guest, It is our great pleasure to have you stay with us. We are delighted that you experienced the quality and service substantial. Thank you for recommending our hotel to the TripAdvisor community and posting a marvelous review of the hotel. It is indeed delightful to see that our services exceeded your expectations in every way except health club. Our in house Gym is under renovation which is expecting to get operational soon. That has always been our endeavor at Best Western Plus O2, Indore and your encouraging words have only fueled us further! We have a great team at the hotels, which are always willing to go that extra mile to deliver "straight from the heart" service to our guests. At Best Western Plus O2 Indore, our constant effort is to make it little bit better for our patrons every day. The biggest satisfaction for us to see joy and smile on your face. Encouraging words like these ones go long way to keep the team motivated and we assure you that it will be our constant endeavor to provide warm and personalized hospitality to all our guests. We look forward to serve you again soon at Best Western Plus O2, Indore. Warm regards, Sanjeev Kumar General Manager, Best Western Plus O2. "A good Budget Business Hotel in Heart of Indore"
Best western is a good budget hotel in the heart of Indore, it has a good working pool. The food is very good, and a nice lounge and Bar within the hotel. The Choice of interior for hotel is different and use of Vibrant colours is there. The rooms are done in a basic way, however, washrooms could be maintained better. Overall a good budget hotel to stay. Dear Guest, It is our great pleasure to have you stay with us. We are delighted that you experienced the quality and service substantial. Thank you for recommending our hotel to the TripAdvisor community and posting a marvelous review of the hotel. It is indeed delightful to see that our services exceeded your expectations in every way. That has always been our endeavor at Best Western Plus O2, Indore and your encouraging words have only fueled us further! We have a great team at the hotels, who are always willing to go that extra mile to deliver "straight from the heart" service to our guests. We have noted the concern also sincerely & the needful has been done. At Best Western Plus O2, our constant effort is to make it little bit better for our patrons every day. The biggest satisfaction for us to see joy and smile on your face. Encouraging words like these ones go long way to keep the team motivated and we assure you that it will be our constant endeavor to provide warm and personalized hospitality to all our guests. We look forward to serve you again soon at Best Western Plus O2, Indore. Warm regards, Sanjeev Kumar General Manager, Best Western Plus O2. Booked with makemytrip and value for money. Breakfast has variety and rooms were clean. Hotel staff very courteous. Hotel is located in South Tukoganj, very near to Rajwada main market and 56 Dukan. Easy to get taxis and autos from this place. Dear Guest, It is our great pleasure to have you stay with us. We are delighted that you experienced the quality and service substantial. Thank you for recommending our hotel to the Google community and posting a marvelous review of the hotel. It is indeed delightful to see that our services exceeded your expectations in every way. That has always been our endeavor at Best Western Plus O2, Indore and your encouraging words have only fueled us further! We have a great team at the hotels, who are always willing to go that extra mile to deliver "straight from the heart" service to our guests. At Best Western Plus O2, our constant effort is to make it little bit better for our patrons every day. The biggest satisfaction for us to see joy and smile on your face. Encouraging words like these ones go long way to keep the team motivated and we assure you that it will be our constant endeavor to provide warm and personalized hospitality to all our guests. We look forward to serve you again soon at Best Western Plus O2, Indore. Warm regards, Sanjeev Kumar General Manager, Best Western Plus O2. "Stay AT Best Western, Indore"
Excellent stay and very co-operative staff. Very convenient to stay as the hotel is in the middle of the city. Food was good and the services were quite guest friendly. It was like staying at home and very comfortable. "Good food n service, average room quality"
Dear Guest, It is our great pleasure to have you stay with us. We have specifically noted the feedback shared by you about our hotel. I assure you, in the coming times, we will be able to offer a much better product to exceed your expectations. We regret the specific inconvenience encountered by you during your stay about lights in room & bathroom which are noted sincerely & the needful has been done. However, we are delighted that you preferred to stay with us in the first place. Exceeding guest expectations has always been our endeavor at Best Western Plus O2, Indore. Having said that, we would be delighted to have you stay with us during your next visit to Indore and assure you to experience our true hospitality. We look forward to serve you again soon at Best Western Plus O2, Indore. Warm regards, Sanjeev Kumar General Manager, Best Western Plus O2. "It's about time best western learns to respect its guests"
It was a family visit there very recently,with fabulous interiors,okayish food and disgusting attitudes of the staff,my advice to best western is that they should not enlist themselves in hospitality business at all,the terrible attitude shown by best western towards its guests coming through two wheelers..really show how the guests are judged by their automobiles..the guards didn't let our guests even stand on their porch because they had two wheelers(FYI best western,two wheeler owners were the ones who paid the bill..just in case you thought they weren't worth your services..) and then there was the terrible case of a dictated review,where we were made to change the review because the staff got worried that the real deal would go to their MD..really nicely done???? Dear Guest, It is our great pleasure to have you visit at our hotel. We have specifically noted the feedback shared by you about our hotel. We regret the specific inconvenience encountered by you during your visit regarding bike parking at the porch. As per the management policy, we do not allow two wheeler parking at porch & security guards are place at entrance to guide the guests to park their bike at the parking area. Please accept my sincere apologies for the staff behavior which is also noted sincerely & the needful has been done. However, we are delighted that you preferred to visit at our property in the first place. Exceeding guest expectations has always been our endeavor at Best Western Plus O2, Indore. Having said that, we would be delighted to have your next visit again and assure you to experience our true hospitality. We look forward to serve you again soon at Best Western Plus O2, Indore. Warm regards, Sanjeev Kumar General Manager, Best Western Plus O2. "Not the best hotel, but good staff"
Hada terrible night on first day with had to move 4 rooms in the back wing - somewhere ac did not work, somewhere it was too noisy, somewhere the ac made noise like a motor. Staff was apologetic and helpful but what can it do with the building problem. Next day got room in front wing but the lobby area cause a lot of echo and every door opening closing can be heard, and the guest sitting in lobby gave terrible time. Had to literally shout at duty manager at midnight to stop this who was very apologetic. The little Hugh volume made everyone one doors and see what happened, that's the disturbance due to echo. Thereafter the staff tried to take extra care and do their best to make my stay comfortable but overall sound issue and ac issues did remain. Overall not good building structure, but good hospitality. Not at all value for money. Dear Guest, It is our great pleasure to have you stay with us. We have specifically noted the feedback shared by you about our hotel. I assure you, in the coming times, we will be able to offer a much better product to exceed your expectations. We regret the specific inconvenience encountered by you during your stay. However, we are delighted that you preferred to stay with us in the first place. Exceeding guest expectations has always been our endeavor at Best Western Plus O2, Indore. Having said that, we would be delighted to have you stay with us during your next visit to Indore and assure you to experience our true hospitality. We look forward to serve you again soon at Best Western Plus O2, Indore. Warm regards, Sanjeev Kumar General Manager, Best Western Plus O2. "Good hotel in city centre"
Hotel has a great location. Property looks bit old but maintained well. Its located close major areas of the city. The buffet dinner and breakfast are as per industry standard. The hotel lobby gives a good feel. It's worth the price. Had been there with my friends to celebrate my friends birthday. The ambiance attracted me the most & the food was amazing. I had a great time with all of them. Though it was my first visit but now it's my favorite place to hangout in city. Dear Guest, It is our great pleasure to have you stay with us. We are delighted that you experienced the quality and service substantial. Thank you for recommending our hotel to the TripAdvisor community and posting a marvelous review of the hotel. It is indeed delightful to see that our services exceeded your expectations in every way specially hotel ambiance & food quality. That has always been our endeavor at Best Western Plus O2, Indore and your encouraging words have only fueled us further! We have a great team at the hotels, which are always willing to go that extra mile to deliver "straight from the heart" service to our guests. At Best Western Plus O2 Indore, our constant effort is to make it little bit better for our patrons every day. The biggest satisfaction for us to see joy and smile on your face. Encouraging words like these ones go long way to keep the team motivated and we assure you that it will be our constant endeavor to provide warm and personalized hospitality to all our guests. We look forward to serve you again soon at Best Western Plus O2, Indore. Warm regards, Sanjeev Kumar General Manager, Best Western Plus O2. This hotel is well located in the city. While I was there on business and could not look around they city, must mention the rooms were well appointed. We had an event at the location and the food was extremely well made. While b/f was part of my package due to an early departure had to skip the same hence no view to be expressed here. Dear Guest, It is our great pleasure to have you stay with us. We are delighted that you experienced the quality and service substantial. Thank you for recommending our hotel to the TripAdvisor community and posting a marvelous review of the hotel. It is indeed delightful to see that our services exceeded your expectations in every way specially quality of food. That has always been our endeavor at Best Western Plus O2, Indore and your encouraging words have only fueled us further! We have a great team at the hotels, which are always willing to go that extra mile to deliver "straight from the heart" service to our guests. At Best Western Plus O2 Indore, our constant effort is to make it little bit better for our patrons every day. The biggest satisfaction for us to see joy and smile on your face. Encouraging words like these ones go long way to keep the team motivated and we assure you that it will be our constant endeavor to provide warm and personalized hospitality to all our guests. We look forward to serve you again soon at Best Western Plus O2, Indore. Warm regards, Sanjeev Kumar General Manager, Best Western Plus O2. This hotel is in city centre near to railway station. Rooms are good and spacious. Good for family and business travellers. Breakfast buffet spread was good. Dishes were tasty. Reception is quite good. "Everything Is Just Perfect !!" I been there 4 days ago , I love the food, ambiance & hospitality of the hotel , I Would Recommend You Guys If You Are Looking For A Good Stay In Indore , This Place Is Perfect For You. Location Is Very Close To Railway Station & Bus Station , Which Is A Plus Point. Good Hotel for stay.Nice rooms.Good location.Need to improve on breakfast menu and quality.Complimentory airport drop and pick up should be provided currently its not available.Overall a good experience. Dear Guest, It is our great pleasure to have you stay with us. We are delighted that you experienced the quality and service substantial. 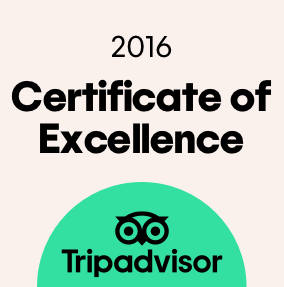 Thank you for recommending our hotel to the TripAdvisor community. We have noted the suggestion on improvement & the needful has been done. The discounted rates negotiate & approved by your company on the basis of airport transfers are not requiring on inclusive basis. It is indeed delightful to see that our services exceeded your expectations in every way. That has always been our endeavor at Best Western Plus O2, Indore and your encouraging words have only fueled us further! We have a great team at the hotels, which are always willing to go that extra mile to deliver "straight from the heart" service to our guests. At Best Western Plus O2 Indore, our constant effort is to make it little bit better for our patrons every day. The biggest satisfaction for us to see joy and smile on your face. Encouraging words like these ones go long way to keep the team motivated and we assure you that it will be our constant endeavor to provide warm and personalized hospitality to all our guests. We look forward to serve you again soon at Best Western Plus O2, Indore. Warm regards, Sanjeev Kumar General Manager, Best Western Plus O2. Decent boutique hotel located in the heart of city , with connectivity of all amenities . Neat and Clean rooms with all facilities. Happy to help staff - small issue breakfast is in the 2nd building on 5 th floor . Dear Guest, It is our great pleasure to have you stay with us. We are delighted that you experienced the quality and service substantial. Thank you for recommending our hotel to the TripAdvisor community and posting a marvelous review of the hotel. It is indeed delightful to see that our services exceeded your expectations in every way specially quality of rooms & buffet breakfast. That has always been our endeavor at Best Western Plus O2, Indore and your encouraging words have only fueled us further! We have a great team at the hotels, which are always willing to go that extra mile to deliver "straight from the heart" service to our guests. At Best Western Plus O2 Indore, our constant effort is to make it little bit better for our patrons every day. The biggest satisfaction for us to see joy and smile on your face. Encouraging words like these ones go long way to keep the team motivated and we assure you that it will be our constant endeavor to provide warm and personalized hospitality to all our guests. We look forward to serve you again soon at Best Western Plus O2, Indore. Warm regards, Sanjeev Kumar General Manager, Best Western Plus O2. One of the best properties in indore at reasonable price. I had a pleasant stay for 4 days with my wife. The location is easy to find and strategically placed, Very courteous and well trained staff and quite a couple and family friendly hotel. Keep up the good job guys. "One of the good hotels in Indore "
Dear Guest, It is our great pleasure to have you stay with us. We are delighted that you experienced the quality and service substantial. Thank you for recommending our hotel to the TripAdvisor community and posting a marvelous review of the hotel. It is indeed delightful to see that our services exceeded your expectations in every way specially staff attention, food & House Keeping. That has always been our endeavor at Best Western Plus O2, Indore and your encouraging words have only fueled us further! We have a great team at the hotels, which are always willing to go that extra mile to deliver "straight from the heart" service to our guests. At Best Western Plus O2 Indore, our constant effort is to make it little bit better for our patrons every day. The biggest satisfaction for us to see joy and smile on your face. Encouraging words like these ones go long way to keep the team motivated and we assure you that it will be our constant endeavor to provide warm and personalized hospitality to all our guests. We look forward to serve you again soon at Best Western Plus O2, Indore. Warm regards, Sanjeev Kumar General Manager, Best Western Plus O2. Visited the place after about 8 months for business and pleasure, and like it again. Complimentary breakfast was quite reasonable (Better than some of the "made to order" stuff at some of the better chains named after a Hotel Heiress family name. Oops I digress), and pretty good restaurant for dinner. Didn't have much time for leisure this time around, so hotel staff recommended a stroll to lag bag palace, and also visited Annapurna temple . The Indian summers can be debilitating (even for me), so the pool was one of the amenities that I enjoyed quite a bit. Altogether great experience. That was pleasant stay ..... cooperative stuff and hotel management .....Food is delicious over here . Stay in Indore made memorable .....this is good place to stay with family and would like to visit with family next time. Dear Guest, It is our great pleasure to have you stay with us. We are delighted that you experienced the quality and service substantial. Thank you for recommending our hotel to the TripAdvisor community and posting a marvelous review of the hotel. It is indeed delightful to see that our services exceeded your expectations in every way specially food & ambience That has always been our endeavor at Best Western Plus O2, Indore and your encouraging words have only fueled us further! We have a great team at the hotels, which are always willing to go that extra mile to deliver "straight from the heart" service to our guests. At Best Western Plus O2 Indore, our constant effort is to make it little bit better for our patrons every day. The biggest satisfaction for us to see joy and smile on your face. Encouraging words like these ones go long way to keep the team motivated and we assure you that it will be our constant endeavor to provide warm and personalized hospitality to all our guests. We look forward to serve you again soon at Best Western Plus O2, Indore. Warm regards, Sanjeev Kumar General Manager, Best Western Plus O2. "Good Hotel with reasonable price"
I went to indore and needed to stay there for two nights. I checked out in tripadvisor and came across Best Western O2 Hotel. Staffs were very cordial, food was great but to my surprise there was a night club as well. I will give this hotel 5/5 just only for this. Apart from the night club, there are many resteurants and riim service was also fantastic. Dear Guest, It is our great pleasure to have you stay with us. We are delighted that you experienced the quality and service substantial. Thank you for recommending our hotel to the TripAdvisor community and posting a marvelous review of the hotel. It is indeed delightful to see that our services exceeded your expectations in every way specially O2 Pub & Lounge and food outlets. That has always been our endeavor at Best Western Plus O2, Indore and your encouraging words have only fueled us further! We have a great team at the hotels, which are always willing to go that extra mile to deliver "straight from the heart" service to our guests. At Best Western Plus O2 Indore, our constant effort is to make it little bit better for our patrons every day. The biggest satisfaction for us to see joy and smile on your face. Encouraging words like these ones go long way to keep the team motivated and we assure you that it will be our constant endeavor to provide warm and personalized hospitality to all our guests. We look forward to serve you again soon at Best Western Plus O2, Indore. Warm regards, Sanjeev Kumar General Manager, Best Western Plus O2. I went to Indore to meet my cousins. We all went out to Best Western Hotel for a small birthday party. I was very pleased to see the arrangements made for a small party also. I sincerely felt that the hotel staff take each and every function, even if small, very seriously and made best arrangements. Although there was 2-3 more much bigger functions going on simultaneously. Thank you Best Western for giving us a good time. Visited indore in june and was stayed here. Was amazed to see the change in overall outlook.For party lovers, there is a nightclub as well.Very cordial staff. The service is amzing. And food as always was great. Dear Guest, It is our great pleasure to have you stay with us. We are delighted that you experienced the quality and service substantial. Thank you for recommending our hotel to the TripAdvisor community and posting a marvelous review of the hotel. It is indeed delightful to see that our services exceeded your expectations in every way specially Hotel ambiance and O2 Pub & Lounge. That has always been our endeavor at Best Western Plus O2, Indore and your encouraging words have only fueled us further! We have a great team at the hotels, which are always willing to go that extra mile to deliver "straight from the heart" service to our guests. At Best Western Plus O2 Indore, our constant effort is to make it little bit better for our patrons every day. The biggest satisfaction for us to see joy and smile on your face. Encouraging words like these ones go long way to keep the team motivated and we assure you that it will be our constant endeavor to provide warm and personalized hospitality to all our guests. We look forward to serve you again soon at Best Western Plus O2, Indore. Warm regards, Sanjeev Kumar General Manager, Best Western Plus O2. Dear Guest, It is our great pleasure to have you stay with us. We are delighted that you experienced the quality and service substantial. Thank you for recommending our hotel to the TripAdvisor community and posting a marvelous review of the hotel. It is indeed delightful to see that our services exceeded your expectations in every way specially IRD services. That has always been our endeavor at Best Western Plus O2, Indore and your encouraging words have only fueled us further! We have a great team at the hotels, which are always willing to go that extra mile to deliver "straight from the heart" service to our guests. At Best Western Plus O2 Indore, our constant effort is to make it little bit better for our patrons every day. The biggest satisfaction for us to see joy and smile on your face. Encouraging words like these ones go long way to keep the team motivated and we assure you that it will be our constant endeavor to provide warm and personalized hospitality to all our guests. We look forward to serve you again soon at Best Western Plus O2, Indore. Warm regards, Sanjeev Kumar General Manager, Best Western Plus O2. "Decent Property, Lack Sufficient Light in room, Casual Housekeeping Staff"
Property is at good location and warm welcome. Points to note: 1) Supportive Front Desk 2) Peaceful environment 3) Decent spread of meal 4) Lack in providing sufficient Light in room and washroom 5) Washroom doesn't have proper water flow, thus after wash, water spreads all around 6) Swimming pool being in closed environment not maintained at all. Not worth using Word of Caution: Housekeeping team are very casual. Their service is poor and too delayed. Horrible experienced: HK staff enter the room without knocking the door by using their master key. Dear Guest, It is our great pleasure to have you stay with us. We have specifically noted the feedback shared by you about our hotel on the Trip Advisor community. I assure you; on your next visit we would be able to exceed your expectations. We regret the specific inconvenience encountered by you during your stay about Housekeeping services, quality of wash room & swimming pool maintenance. We have taken the note sincerely & the needful has been done. However, we are delighted that you preferred to stay with us in the first place. Exceeding guest expectations has always been our endeavor at Best Western Plus O2, Indore. Having said that, we would be delighted to have you stay with us during your next visit to Indore and assure you to experience our true hospitality. We look forward to serve you again soon at Best Western Plus O2, Indore. Warm regards, Sanjeev Kumar General Manager, Best Western Plus O2. A good business hotel to stay in. In the heart of the Indore city. very near to railway station & Bus stand. specious clean rooms with wifi facility. service of the hotel is also fantastic, right from the check in to check out hotel staff is very helpful. Dear Guest, It is our great pleasure to have you stay with us. We are delighted that you experienced the quality and service substantial. Thank you for recommending our hotel to the TripAdvisor community and posting a marvelous review of the hotel. It is indeed delightful to see that our services exceeded your expectations in every way. That has always been our endeavor at Best Western Plus O2, Indore and your encouraging words have only fueled us further! We have a great team at the hotels, which are always willing to go that extra mile to deliver "straight from the heart" service to our guests. Thank you for appreciating hotel staff for service provided. At Best Western Plus O2 Indore, our constant effort is to make it little bit better for our patrons every day. The biggest satisfaction for us to see joy and smile on your face. Encouraging words like these ones go long way to keep the team motivated and we assure you that it will be our constant endeavor to provide warm and personalized hospitality to all our guests. We look forward to serve you again soon at Best Western Plus O2, Indore. Warm regards, Sanjeev Kumar General Manager, Best Western Plus O2. Dear Guest, It is our great pleasure to have you stay with us. We are delighted that you experienced the quality and service substantial. Thank you for recommending our hotel to the Trip Advisor community and posting a marvelous review of the hotel. It is indeed delightful to see that our services, ambiance exceeded your expectations in every way. We are happy to see that you enjoyed the available recreational facilities. That has always been our endeavor at Best Western Plus O2, Indore and your encouraging words have only fueled us further! We have a great team at the hotels, which are always willing to go that extra mile to deliver "straight from the heart" service to our guests. At Best Western Plus O2 Indore, our constant effort is to make it little bit better for our patrons every day. The biggest satisfaction for us to see joy and smile on your face. Encouraging words like these ones go long way to keep the team motivated and we assure you that it will be our constant endeavor to provide warm and personalized hospitality to all our guests. We look forward to serve you again soon at Best Western Plus O2, Indore. Warm regards, Sanjeev Kumar General Manager, Best Western Plus O2. Beautiful ambiance, 5 mints distance from railway station, staff very cooperative, food is awesome, malls, main market, cinema halls, everything is nearby from hotel location, hotel also having a very awesome O2 Pub, i like to visit again. Dear Guest, It is our great pleasure to have you stay with us. We are delighted that you experienced the quality and service substantial. Thank you for recommending our hotel to the Trip Advisor community and posting a marvelous review of the hotel. It is indeed delightful to see that our services exceeded your expectations in every way. That has always been our endeavor at Best Western Plus O2, Indore and your encouraging words have only fueled us further! We have a great team at the hotels, which are always willing to go that extra mile to deliver "straight from the heart" service to our guests. At Best Western Plus O2 Indore, our constant effort is to make it little bit better for our patrons every day. The biggest satisfaction for us to see joy and smile on your face. Encouraging words like these ones go long way to keep the team motivated and we assure you that it will be our constant endeavor to provide warm and personalized hospitality to all our guests. We look forward to serve you again soon at Best Western Plus O2, Indore. Warm regards, Sanjeev Kumar General Manager, Best Western Plus O2. "Good location,big rooms, lack parking"
Location is good centrally located , cafe is open 24 hrs, room service staff is very good and honest , I left some money in the room and the guy who cleaned the room didn't even touch it, that's real good and you feel more comfortable with the staff even the valet parking drivers and the doorman were good, although I didn't find the reception staff up to the mark they dictate me the rules of the hotel, were very strict regarding the check out and didn't provide 2 keys for the room. Also they don't have parking space in hotel so if ur arriving by your car it will be parked outside by valet. The food was good and they have the best club in town. Dear Guest, It is our great pleasure to have you stay with us. We have specifically noted the feedback shared by you about our hotel on the Trip Advisor community. I assure you, in the coming times, we will be able to offer a much better product to exceed your expectations. We regret the specific inconvenience encountered by you during your stay. However, we are delighted that you preferred to stay with us in the first place. Exceeding guest expectations has always been our endeavor at Best Western Plus O2, Indore. Having said that, we would be delighted to have you stay with us during your next visit to Indore and assure you to experience our true hospitality. We look forward to serve you again soon at Best Western Plus O2, Indore. Warm regards, Sanjeev Kumar General Manager, Best Western Plus O2. The location of the hotel is good. The overall infrastructure of the hotel is good and the rooms are clean and comfortable but the room size is small and the bathrooms are are also not very well maintained. Not recommended. Don't expect more than a warm welcome at reception. No where near Best Western brand or similar hotels. Lazy support staff at restaurant but Chef & Manager will come and try to take your feedback. This was my 2nd stay but did not find any change. Don't get carried away by what they have mentioned on website. Indore never sleeps, even at 2:00AM we got the entry in Disc. People were partying till 4:00AM and I was surprised to see the crowd. DJ was good, but was playing only bollywood numbers. It could be a bit heavy on your pocket, but if you are in Indore and like to party, I would recommend O2. Getting Stag entry could be a problem, so visit in a group or as a couple. "Good rooms, good service, better location"
Hotel is at good location. rooms are quite good and clean. breakfast has good options and taste too. reception is also appreciable. you can also get liquor on almost at bottled MRP in the room with good scotch options. There is "room with no view" See attached pix for same. Limited car parking facility.. Although valet parking is avbl. Complimentary car wash or even paid not there... Check in was smooth but check out wasnt smooth.. Apparently, staff was unable to convey instructions..leading to uncalled delay. Pool was under maint..!!?! Breakfast is above average.. Buffet breakfast is on 5th flooer Standard average Indian breakfast with very limited continental items. Shower area/cubicle is quite small.. Toilet ergonomics need to be improved upon next renovation; current is not comfortable. Internet speed is good (free wi fi). "Seven Day Stay at Best Western Plus"
I would like to start my experience with entrance of the Hotel, because entrance itself will give you an impression like entering into a 4 star hotel. But once I entered into the room which was allocated to me its got confirmed that this hotel is equivalent to a 4 star hotel. In addition that food they served was delicious that In a day they are proving complimentary break fast as well as one complimentary meal. The hotel is accompanied with Swimming pool, GYM, etc... Most interest thing is hotel was located in such a place that it was one hour thirty minutes to visit Mahakaleshwar temple at Ujjaini. And chappan dhukan is also very near to the hotel when you will get all delicious street food. "Desert Rose for us in Summer Heat"
Had Been to Indore in the wrong climate as it was summer and the Heat was terrific. From the time i checked in to my Checkout 4 Days after everything was just superb. The Staff is friendly and Helpful. Interiors and the artifacts at this place is something to cheer about. These things really add up to the place. Rooms are spacious and well Cleaned by their Housekeeping Staff. Restaurant Food is Average but they deliver it with a smile that is what Important. "Simplicity with 'okay ' interiors"
As soon as one enters the lobby , one gets impressed by the cafe nearby and the sitting area ! The O2 cafe is indeed a nice coffee place. The thing which disappointed me the most in this beautiful looking hotel from exterior was the poorly lit room and the bathroom. The room had very less lighting and in the morning it became difficult not opening the curtains which covered a translucent mirror giving glimpses of room occupants and their activities. Also there were no bathroom slippers which made difficult to roam around and few of the switches of lamps were difficult to locate. The mirror had very poor lighting ! The breakfast was ok and the laundry service was nice ! The place has beautiful exteriors and the lobby area is creative and nice but the rooms need to be improved as well as properly maintained. I was impressed by zodiac naming of their floors ! Also the deity of Ganesha was simple yet elegant . The pool was out of order during my stay ! The place has certain event halls and conference areas which due to lack of time I was not able to visit but plan to explore soon. Most cooperative staff and good services. Stayed with 20 others for 4 nights . Up to my expectations.. thanks everyone. Every staff was ready to serve us at any time 24×7. As we were a big group and requirements were also very much. But they did it satisfactorily. "good place to stay at Indore"
when you are at Indore, this could be a very good option to stay. its right close to all the big eating places as well as malls of Indore. the staff is nice, hotel is clean and food is good. service is quick and it has all the facilities that you would want for your business trip stay. This is a very very poor hotel. The check in was okay - strangely they offer only one key per room. The minute they authorise a second key the first one gets cancelled. The room was poorly maintained and bathroom dirty. Both were small and dingy. Lighting was a challenge. Linen was stained and torn. Housekeeping choose not to clean my room for some reason the second day. The breakfast was basic but not bad for the price. The indore food culture and taste was not reflected in the breakfast. They have a bar where I was not allowed in because I was a "stag". Gym is a room with a threadmill and a stationary cycle which is not electric (go figure that out) and a bench with 5 dumbbells. "Good Hotel, Good Staff & Great Lunch." decent hotel in the city posh area, very near to a new mall & the nearby attractions like sarafa bazaar, khau gali, Rajwara etc. Buffet Lunch was superb & very tasty. Only thing disappointing was the Breakfast, even though it was a widespread, but the taste was missing. The breakfast started at 7.30 & we reached 7.40, but still everything was not even warm. They must work on it & can get the 5 star review soon. Dear Guest, It is our great pleasure to have you stay with us. We are delighted that you experienced the quality and service substantial and have specifically noted the feedback shared by you about our hotel on the Trip Advisor community. I assure you, in the coming times, we will be able to offer a much better product to exceed your expectations. We regret the specific inconvenience encountered by you during your stay. It is indeed delightful to see that our services exceeded your expectations in every way. That has always been our endeavor at Best Western Plus O2, Indore and your encouraging words have only fueled us further! We have a great team at the hotels, which are always willing to go that extra mile to deliver "straight from the heart" service to our guests. At Best Western Plus O2 Indore, our constant effort is to make it little bit better for our patrons every day. The biggest satisfaction for us to see joy and smile on your face. Encouraging words like these ones go long way to keep the team motivated and we assure you that it will be our constant endeavor to provide warm and personalized hospitality to all our guests. We look forward to serve you again soon at Best Western Plus O2, Indore. Warm regards, Sanjeev Kumar General Manager, Best Western Plus O2. "Business Hotel at Center of Indore"
I stayed in first week of November .The hotel is centrally located and street is quite peaceful off busy RNT Road. Reception and lobby are was quite tastefully done and staff was polite and helpful. Rooms are quite spacious and well decorated. Lighting is good but washrooms are poorly lit. Furniture and linen was good. Washroom is very poorly designed and have many faults.Shower and washbasin area get wet when in use. Need improvement. wardrobe was quite big and beautiful. Breakfast served was good but can be improved. Staff was very courteous. Overall a good hotel with value for money. "Worst Hotel experience ever, Very disrespectful staff"
I booked here due to no other options available in the city due to some doctor conference. Pathetic experience, staff was very disrespectful and even asked me to leave and cancel the reservation without any refund. Would not recommend anyone to visit this hotel. Staff needs alot of improvement in every manner. Hotel manager and staff is least bothered in your problems. Not value for money at all. I paid price for 5 star and service was not even 1 star. I stayed here here for a day and had no problem. Rooms are big and clean. Staff is friendly and courteous. We had buffet breakfast and lunch. The food is awesome with very large variety. The location of the hotel is also perfect. The housing keeping services needs to lot of work in respect with basic services. The restaurant serve more or less the same menu for breakfast and dinner. The rooms are very small as you enter the room the room is over. "Nice Option To Stay in Indore"
I found this hotel a very good option to stay, rooms are nit and clean, staff is supportive and decent. Hotel provides decent amenities but laundry rates are little higher, front desk is very good and active, service is fine and house keeping is little late to have pest/brush kit or iron you need to call them may times. Restaurant and food and tastes are very good. "One of the best hotel to stay in Indore !" I have had an unplanned visit to Indore and I had to book a hotel immediately. Without even thinking once I have booked this hotel through make my trip just for one day. I was travelling by train and my train was reaching early morning At around seven so before booking a hotel room I called the hotel and spoke with the duty manager regarding my accommodation for early check-in. The manager on duty at that time she was very well spoken and courteous to accommodate my request. I am sorry it's been long that I am making this review so I couldn't remember her name but she is the assistant front office manager. Upon reaching the hotel the front desk agent was very courteous enough to have me checked in to my hotel room. The hotel is really beautiful and nicely maintained I must say every corner of the hotel is very well maintained and so are the rooms. As soon as I entered my room the only thing I was not happy with was the view of the room which was facing the backside but I still liked the room and couldn't change the room because the king rooms were not available and I could understand the early check in process and all but still the room was really nice and it was not really an issue for me having just a one day trip. Overall I would say if you are looking to stay in this hotel please go ahead without a second thought. The hotel is located at a prime location close to the station, the hotel is very well maintained, the rooms are nearly perfect as you need them, the key of the hotel the staff is really good, breakfast is located on the top floor which I really did like and the food was also good. At the conclusion if you're looking to stay in Indore you must check out this hotel. ?? Dear Guest, It is our great pleasure to have you stay with us. We are delighted that you experienced the quality and service substantial. Thank you for recommending our hotel to the Trip advisor community and posting a marvelous review of the hotel. It is indeed delightful to see that our services exceeded your expectations in every way. That has always been our endeavor at Best Western Plus O2, Indore and your encouraging words have only fueled us further! We have a great team at the hotels, who are always willing to go that extra mile to deliver "straight from the heart" service to our guests. At Best Western Plus O2, our constant effort is to make it little bit better for our patrons every day. The biggest satisfaction for us to see joy and smile on your face. Encouraging words like these ones go long way to keep the team motivated and we assure you that it will be our constant endeavor to provide warm and personalized hospitality to all our guests. We look forward to serve you again soon at Best Western Plus O2, Indore. Warm regards, Sanjeev Kumar General Manager, Best Western Plus O2. Our stay at Best Western Plus O2 check in was 9th November for one night. Two rooms were booked. We had one of the most horrifying experiences of our stay. At around 2.30 AM in in Room number where two female guests were staying. One of the guests woke up by mistake and too her surprise a man was standing in the room. She was shocked and she asked who are you? The man replied I am the bellboy. She again asked what are you doing here? He replied you had left the key outside so I had come to deliver the same. The room had a card reader lock and the same had to be inserted for the light to be on.it was a cooked up story. There is no secondary lock that can be latched from inside. They immediately contacted the reception and the receptionist cooked a different story. He had issued a duplicate key to a guest. He did no verification of his id. In the morning when we contacted the reception their attitude was very casual. Date of stay 8th November 2017. Dear Guest, Thank you for completing the survey regarding your recent stay at our property. On behalf of my entire team, I would like to apologize for not exceeding your expectations. Your satisfaction is important to us and we will be using the feedback you gave us to implement improvements to ensure we offer a better experience for guests in the future. I hope that you will consider staying with us again so that we can have another chance to provide you with a superior experience. Warm regards, Sanjeev Kumar General Manager, Best Western Plus O2. Stayed for one night - 8 Nov. in room 608 Room - Bed mattress needs to be replaced. I could feel the springs. And the bed creaked every time I turned. There were noises outside - either in the pantry next to the room or the noise of the lifts. Couldn't exactly figure out what. Cleanliness - Used glasses of previous guest were outside the room door as I entered. Floor was not swept and I could feel the dust/dirt on my feet. Breakfast - Sumptuous but tasteless. Its tough to find poor tasting food in Indore. But this hotel managed it. Dear Guest, It is our great pleasure to have you stay with us. We have specifically noted the feedback shared by you about our hotel on the Trip Advisor community. I assure you, in the coming times, we will be able to offer a much better product to exceed your expectations. We regret the specific inconvenience encountered by you during your stay. However, we are delighted to see that our services met your expectations. The biggest satisfaction for us is to see joy and smile on your face. We look forward to welcoming you again soon. Warm regards, Sanjeev Kumar General Manager, Best Western Plus O2. Dear Guest, Thank you for putting your reviews and sharing your experience with us. We regret the specific inconvenience encountered by you during your visit with us. We are trying to investigate the situation but cannot locate any booking under said name. Its unbearable for me that your guests were asked to leave but the hotel only dishonors the booking in case of unregistered/ unmarried couples. Kindly suggest us with the exact details of your visit in order to clearly understand the scenario and to assure you, in the coming times, we will be able to offer a much better product to exceed your expectations. We look forward to serve you again soon at Best Western Plus O2, Indore. Warm regards, Sanjeev Kumar General Manager, Best Western Plus O2. Best western o2 plus is star hotel with swimming pool,parking,restaurant,and roof top bar facilities dinner buffet is available at best quality and taste of food is good with beautiful ambience. Great experience. Really enjoyed our stay here. Staff were very friendly and helpful. Place is very clean and quiet. We also got upgraded to a deluxe room. Excellent value for money! Would definitely stay here again!” . really awesome service i just got when i stayed there few days before .Due to its great amenties like indoor swimming pool and spa , i will visit here whenever i visit indore.finally it is the best one . Had a very pleasant stay at the arrangements are good....staffs are kind and supportive.Nice interior and location... excellent room service,clean and pleasant rooms,very comfortable bed.Food was very tasty specially Chinese.overall awesome experience. This is the hotel I always go to when I am in Indore due to its great amenities like indoor swimming pool and spa which is a great for relaxing after a days worth of office work. The rooms are pretty clean and staff polite and friendly. Obviously that they have a high speed internet access is a strict yes for picking it over similar priced hotels. But the best is the exercise facility available from early morning to set your day right. Thanks for the lovely experience.. This is my second review of places in India, and coincidentally happens to be in the same city as before. Having invested some money in my friend's business, I was visiting to check upon things. My friend got the reservation in the hotel because of the proximity to the train station - I was arriving from Delhi pretty late in the night. On my way to the hotel, I had a minor accident, and thats where the location plays a role. The hotel staff was courteous to help me reach the nearby Gokul hospital's ER, after which I checked into the Hotel. The room service was excellent and staff paid extra attention to my needs in general. The hotel's proximity to two malls made it easy for me to shop for the stuff I needed. Overall, my experience with this hotel has been better than hotels I have stayed at in India. The rooms are large and squeaky clean, well maintained; the staff is very courteous and attentive; and the food is- ambrosia!!! Very delicious. The entertainment scene in India in general isn't very palatable to me, but I enjoyed DJ night that was organized close to my check out day. Overall great experience, and Location, Location, Location. I recently stayed there and and had to book it as my flight got cancelled. I was very tired but two things made my day; very economical rate and kindest staff. Room, breakfast, services, airport drop everything were so impeccably arranged that i forgot all my stress. A must place to stay if you are in Indore. Keep up team!!! "Awesome place - in every sense of the word!" I was visiting the city after a couple years and was able to find a quick reservation at the western hotel. When I checked in, I was pleasantly surprised by the ambience and attention to the details - ranging from decoration, personalized attention from the hotel staff, and finally food - hands down one of the best indian curry. The place seems to be quite happening with some kind of special event going on (there were two when I was there for the week). That might be a bummer if you are on business, otherwise it is always fun to enjoy the colors and music. All in all great place with courteous staff, delicious food with generous portions, and well decorated suites. Very courteous staff, efficient room service,rooms were very clean n had been taken excellent care of. Totally worth of every penny I paid. Had amazing experience with great hospitality. Would love to visit next time. "Best and only one among its kind in Indore for party lovers and for good food. " This is my all time favourite place. Though I have never stayed there as i belong to indore but their food outlets made me write the review about this property. From ambiance to services & food everything is exceptional. They have Hi Ball lounge, I often visit there with friends and family, it's a very relaxing place to spend some quality time. Another appeal is the DJ NIGHT ( **renowned DJ, on board) that they plan on roof top or in high ball which becomes a must visit. Recently DJ Ashworth played there, whenever they will plan their next DJ NIGHT I would sure get my place reserved before anybody else B-) For party freaks it's one of the the best place. I am eagerly waiting for their upcoming O2 Disc and lounge which is one of the highest rated disc chain in Indore. "Lovely Cozy Hotel with personalised attention"
The superb location seems secondary as compared to the comfort and attention we received from the hotel staff; particularly the reservation and front desk!! The rooms were cozy and had lovely ensembles and to top it all we got an upgrade too. The food was nice and everyone in the family enjoyed the hospitality extended by right from the bell boy to the GM. We had booked on the spot and were pleasantly surprised with the reasonable tariff and adequate inclusions. A special mention to the front office staff who were thoroughly professional and responsive. The pool was a great attraction during the hot days!! All in all a very comfortable and satisfactory stay!!! Dear Mr. Neeraj, It is our great pleasure to have you and your family stay with us. We are delighted that you experienced the quality and service substantial. Thank you for recommending our hotel to the Trip Advisor community and posting a marvelous review of the hotel. It is indeed delightful to see that our services exceeded your expectations in every way. That has always been our endeavor at Best Western Plus O2, Indore and your encouraging words have only fueled us further! We have a great team at the hotels, which are always willing to go that extra mile to deliver "straight from the heart" service to our guests. At Best Western Plus O2 Indore, our constant effort is to make it little bit better for our patrons every day. The biggest satisfaction for us to see joy and smile on your face. Encouraging words like these ones go long way to keep the team motivated and we assure you that it will be our constant endeavor to provide warm and personalized hospitality to all our guests. We look forward to serve you again soon at Best Western Plus O2, Indore. Warm regards, Sanjeev Kumar General Manager, Best Western Plus O2. The Hotel is just fair, crampy room., not so kept up washroom, the pool was not operational. Rooms had no views., For the price I could have got a better option. The location is one thing that is fine. It's a really good hotel. situated nearby the railway station and bus stand. I stay their for 3 nights & 4 days. My overall experience is very good. cleanliness of the hotel is very good food was too good (Break Fast, Lunch & Dinner ) I enjoyed a lot my stay with the hotel. staff was courteous and helpful staff. "Pay economical & enjoy everything"
I must say that there is nothing that this hotel doesn't have or doesn't provide. I had stayed there recently with my family and we have really liked the location of the hotel. Malls, railway station, bus stand everything is just so accessible from there. I believe it is the only brand which is centrally located. Keeping aside the location; I really liked the staff attitude and their response . I would appreciate how they fulfilled our each and every request starting from travel arrangements to keeping care of my child. They have pool, gymnasium which makes the stay more enjoyable. Food was fantastic and rooms were very spacious. Though illumination is a little concern as hotel is sourrounded by buildings but overall a great choice to stay in Indore. "Beautiful stylish business and tourist hotel in Central Indore"
I ended up here after the first couple of hotels I went to in Indore could not admit me as they were not permitted to accept foreign guests! It is the only time I have encountered that situation in India. Was able to negotiate an incredible deal on a business double room just by walking in and inquiring with the reception desk. The room was superb, the hotel is very well set up with 24 hour coffee shop, bar and a variety of restaurants. Staff were all very welcoming, furnishings are top class and the location is ideal for walking to many of the points of interest and shopping precincts of central Indore. Indore itself is a transit point for most foreign tourists however I found it an interesting city with friendly and curious locals. Enjoyed my overnight stay in the hotel and the city. "centrally located best business property"
i have stayed in this hotel recently. Its the only brand hotel i guess which is centrally located. Apart from best location it also offers spacious rooms, beautiful lobby and public areas. Staff is very co-operative and friendly and is always smiling. I had breakfast every morning which was extremely yum!! I wish i could have tried lunch or dinner but due to office hours i couldn't. Overall a best place for business traveller, decent staffing and peaceful rooms. The rooms were excellent, with all amenities. The bathrooms were clean, with proper hot water. The food at the restaurant was great. The buffet breakfast choices as well as the service, was excellent. When we checked out, there was a separate person asking for feedback - our feedback about water not draining from the bath area due to incorrect leveling, was taken seriously (I think), with a promise to fix it. Dear Guest, It is our great pleasure to have you stay with us. We are delighted that you experienced the quality and service substantial. Thank you for recommending our hotel to the Trip Advisor community and posting a marvelous review of the hotel. It is indeed delightful to see that our services exceeded your expectations in every way. That has always been our endeavor at Best Western Plus O2, Indore and your encouraging words have only fueled us further! Also your suggestion is been considered seriously and we are working on it. . I assure you, in the coming times, we will be able to offer a much better product to exceed your expectations. We have a great team at the hotels, which are always willing to go that extra mile to deliver "straight from the heart" service to our guests. At Best Western Plus O2 Indore, our constant effort is to make it little bit better for our patrons every day. The biggest satisfaction for us to see joy and smile on your face. Encouraging words like these ones go long way to keep the team motivated and we assure you that it will be our constant endeavor to provide warm and personalized hospitality to all our guests. We look forward to serve you again soon at Best Western Plus O2, Indore. Warm regards, Sanjeev Kumar General Manager, Best Western Plus O2. The hotel is located in a nice locality in South Tukoganj. It is a new hotel. It is very clean and nicely designed. Breakfast has a nice array of items. A definite stay. We were upgarded to executive room which is much bigger with a living room and separate bedroom. "Family party n stay "
Centrally located easy to reach food n service way ahead of expectations rooms are nice n well equipped . Had a birthday party event there for my daughter n it went superb spl thanks to the staff n managers who offered premium service n gracious hospitality . "Convenient Location with Small Rooms"
Dear Guest, It is our great pleasure to have you stay with us. We have specifically noted the feedback shared by you about our hotel on the Trip Advisor community. I assure in the coming times, we will be able to offer a much better product to exceed your expectations. We regret the specific inconvenience encountered by you during your stay. However, we are delighted to see that our property location met your expectations in every way. That has always been our endeavor at Best Western Plus O2, Indore and your encouraging words have only fueled us further. We have a great team at the hotel, who are always willing to go that extra mile to deliver "straight from the heart" service to our guests. The biggest satisfaction for us is to see joy and smile on your face. Your encouraging words will go long way to keep the team motivated and we assure you that it will be our constant endeavor to provide warm and personalized hospitality to our guests. We look forward to welcoming you again soon. Warm regards, Sanjeev Kumar General Manager, Best Western Plus O2. We stayed at this hotel recently for 2 nights at standard room. Following are the major observations. 1) Overall room was on a smaller side and same goes for bathroom. 2) Hotel staff generally was friendly and accommodating.Though they promised two bottles of water everyday but provided only one (that too unbranded). 3) Lift was bit slow though that doesn't matter much. 4) We had breakfast and dinner buffet in our package. Food was ok. The food they served in the room was much tastier and fresh. 5) Location is good and there are lots of hotels nearby. 6) There is nice a Ram and Hanuman temple nearby hotel ( take right when you come out of hotel, its walking distance at next signal) 7) One night package including dinner and breakfast costed us ~ 4800 Rs per night at Goibibo. Overall I'd give them 3.5 stars if there was an option. Dear Guest, It is our great pleasure to have you stay with us. We have specifically noted the feedback shared by you about our hotel on the Trip Advisor community. I assure in the coming times, we will be able to offer a much better product to exceed your expectations. We regret the specific inconvenience encountered by you during your stay. However, we are delighted to see that our food and services met your expectations. That has always been our endeavor at Best Western Plus O2, Indore and your encouraging words have only fueled us further. We have a great team at the hotel, who are always willing to go that extra mile to deliver "straight from the heart" service to our guests. The biggest satisfaction for us is to see joy and smile on your face. Your encouraging words will go long way to keep the team motivated and we assure you that it will be our constant endeavor to provide warm and personalized hospitality to our guests. We look forward to welcoming you again soon. Warm regards, Sanjeev Kumar General Manager, Best Western Plus O2. We checked in for 2days. The staff there has only one word to say NO for any service you ask for. The best is that at checkout the front office staff Ms.Neha Wadhera asks us about their one towel missing. She says this is their policy. Extremly shamefull. "Good location to stay in Indore"
They have clean bathrooms and spacious rooms with helpful service oriented team. Wanted to change the room, and they were very accomodative. The staff is very quick in service. It also has a very beautiful Indoor swimming pool. "Nice Hotel in the heart of city "
Good hotel centrally located in indore, nice ambience, good service, food is good at taste. Good for business meetings, conferences etc. Good stay for family as well. Has valet parking facility. Restaurant in pretty nice. A good hotel with spacious rooms,well defined interiors, hi speed internet, lots of amenities, well done bathroom.Buffet breakfast was good & the food spread was decent...I would certainly recommend this hotel. "Great place to stay while on a business trip"
A large hotel with spacious rooms, hi speed internet, lots of amenities, well done bathroom and a couple of restaurants attached to the property to boot. Located in the heart of the city, in South Tukoganj, you can get some fantastic deals on Make My Trip if you are lucky. The staff needs some more orientation in warmth though.Not a single soul came across as performing their duties beyond the rule book. A smile is what I yearned for. The stay in the hotel though was very pleasant, without any hiccups, and the facilities offered simply charmed me.The ambiance of the hotel inside is also to die for. A swimming pool is also there in the hotel premises but it was closed for maintenance for the day. Overall, a big yes, Will visit again. "Best stay in the town"
The hotel is highly recommended for business travel as I can say cause I have been travelling to Indore since last 4 years for work and I have seen this place become better every year. Yes without a say this can be your choice for the next stay. Hotel is situated on good location, created good ambiance. rooms had just basic facilities but good enough on a business trip. Buffet B/F, dinner and room service is up to mark.rooms on one side on 4th floor are too small(436) but on other side they are tolerable. overall good experience and would recommend to patronize this hotel. Situated near commercial area is the main advantage of staying at the hotel. Rooms were neat and clean with basic toiletries provided.The air conditioner made so much sound that i had to get the room changed within an hour of check in to the hotel. Rooms are in need of refurbishment as it is nearing the expiry date. Breakfast spread was just average compared to any other 3 star hotel property. Overall an average stay just right for the people visiting Indore for business and spending very little time at the hotel. "Bad behaviour and no respect for customer"
The rooms are average with old fixtures and toiletries. Toilets are very average which lacks cleaning. Worst is the behaviour which is not good and they treat the room guest as nobody, taken for granted. "Great place in the heart of the city"
An excellent property in the heart of the city with all the modern amenities. Well maintained rooms, great bathrooms with all the toiletries (renowned brand) and serving some great food. The hotel is quite close to major attractions in the city. Do not forget to visit the CHAPPAN DOOKAN a place packed with stalls selling good hygienic street food which is not very far from the hotel. "Beautiful hotel in the heart of the city"
Stayed in the hotel with last minute plans. The hotel wasnt my first preference but stayed there considering the good reviews. I must say the hotel is better than the reviews. The staff is courteous and the breakfast was and tasty. The suite room was lit to relax the mind and have a comfortable sleep. "Decent place, value for money from membership perspective"
The hotel gives you great value for money yet does not compromise on the comfort. Rooms are well decorated and pleasing to your senses. Sitting in the rooms and beds are quite comfortable. Bathrooms would require improvement particularly with the fittings. They don't really gel with the room decors. Room service and reception is quite efficient. Food in the buffet has got a good spread serving variety of taste buds. Some local flavours of the city may be added in the spread. Recommended for family and business travellers. good property, rooms are good but bathrooms are too small...it has two wings so check which wing you have to go in. their laundry is quite disappointing, and they have no clue about misplaced laundry. the front office staff are good but can be more helpful, as they dont go out of way to help guests which sometime require in hospitality industry. food is good, but it is repetitive of same in breakfast, dinner was fine though. overall a average experience and hope to have a better experience next time. Value for money hotel. rooms are good and sleep quality is very comfortable. toilet is small but still better to use. food is good. they have 24 hr cafe which offers good snacks and cakes. the Veg restaurant at ground floor is also ok. food however is really good at the hotel. The best part of the hotel is buffet @ Rs. 499 which is value for money as it offers bit of every cuisine. overall nice hotel if you want to stay for couple of nights. One of the best stay of our life. In the heart of the city. Very clean and hygienic. Staff was very cooperative. We reached late in the night. It was a pre booking. They parked our car provided food in late hours. It was a pleasant stay. "Good location value for money"
Hotel is located near a residential area which is peaceful yet close to the other markets. Recommended for corporates and family. Do opt for their higher room category which has a small balcony and a sit out room as well. Service is good and cafe is also great. "Very Good rooms... very good food... good service"
We stayed in this hotel twice in 2 months while on a business trip. Overall Good rooms. Food is good and location is also good. Service is also good. Would definitely visit them again. Price is also reasonable. Worth the value. The experience of staying at best western wasn't really a pleasant one. The rooms are cramped up. The staff is unfriendly and not very helpful. One instance was I gave my suit blazer for ironing and even after 2 hours, when I was very late for a meeting, the blazer wasn't ready and was forced to wear it without ironing. The bathroom of the hotel are made without any architecture and bad construction makes it an unpleasant experience staying in this hotel. "Good hotel with low amenities "
Hotel is good to stay. If you only want swiming pool as amenity. Food is breakfast is kind of repeatation, similar meal if you are staying long over there. Services are slight slow and check in and check out will take time. The hotel is big enough, luxury feeling. The rooms are enough. The food is very good with wide spread. swimming pool is also big. the staff is polite. the hotel has a verg good decor done at reception. I visited Golden oven with my family and had buffet dinner. service & staff behavior is good, like the food as well, there where soup and starter served. corn veg was very testy, seating is comfortable. "Good but can be better!" First of all, the staff and service were good. Location of the hotel was not easy to find as Google maps location was way-off from the actual location. Suite has an awkward design with two rooms, one for dining (my guess) and other has the bed and the TV, which felt quite claustrophobic to me. Breakfast buffet had a good variety and also a few on-order dishes. One thing that I did not like was the distance of walk from the reception to the elevators, which can be uncomfortable and confusing. Overall, the stay was comfortable but these few hitches should be resolved by the hotel management to make the experience for the guests even better. Don't judge by the brand name and outside appearance & ambiance, which is neatly maintained and good looking. But when it comes to room (? ), it is a great disappointment. Rooms are very small and poorly maintained. Wash room is very small & not much clean. Shower knob was not working. Water draining all over in washroom Lighting inside the room is very poor, I don't find any bright light. Because of this you feel dull and lazy. There is no sound proof between rooms. You can hear sound from nearby rooms. They offer complementary break-fast, same dishes found in the buffet breakfast for both the day of my stay. Food is average. Based on the Tripadvisor review, I requested front desk to give me rooms in the new building, but they refused and put me in old building saying it is upgraded. If the upgraded rooms look like this, I can't imagine about normal rooms. I noticed front desk managers focusing on few customers & going behind them – loosing focusing on others. I didn't find any service problem. But better hotels are available in Indore on the same tariff. "Best from outside average from inside "
Ambience of the hotel like outside, lobby.. etc.. is really good and the location also. But when it comes to room it's not that grate a little old fashion. The main disappointing part is the room service which is really slow. Staff is good and courteous but don't want to do much of the work. Overall the property is a good not grate choice to stay if u want to stay near railway station. My first impression of this Hotel was not that great. The front desk staff needs to improve in terms of Client handling. Once cleared from the initial formalities of the booking headed towards the room. I must say it took me a while to figure out the path from the Front Desk to the Lift lobby for the Rooms ( they are 2 separate buildings! ), thanks to the Bell Boy for the guidance. Once entered the room was standard and well maintained. Housekeeping is decent. Rooms are decent in terms of spacing and comfort. What stood out was the Food. In room dining has a interesting variety and priced moderately. Its a value for money property for stay with close proximity to prime attractions of Indore. Being at Indore one cant miss stay at this hotel. Its unique interiors drives one to the hotel always. So also food quality n service provided is one of the Best. Staff is very courteous and offers a warm welcone with speedy checkin. Well done. Its also good value for money. Best Western hotel is the **** star property in the Heart of Indore which is South Tukogunj and the Impression, Interior, luxury is very good having all facility you want in a Hotel. The Hospitality and the food offer as buffet is amazing and delicious. "Don't go with the brand name...it's the worst hotel I have ever stayed"
Best Western is a well known brand name in a hotel industry, but this hotel has nothing to do with the brand.....zero maintainance....very poorly equipped...very small rooms and bathrooms are like hell...water draining all over in washroom...shower not working and specially the size of bathrooms....hardly 5 ×3....so don't waste your time and money on this hotel by just going through brand name.. I have been staying in this hotel for a long time now and find it to be the best in Indore as far hotels in all are concerned. However, this time around service was not at par and was left wanting. It still is one of the best but that's because others are just not good. I booked this hotel looking at Best Western brand, but it is not up to the mark. It is definitely not worth what they are charging. After our check in our room AC was not working and after repeated follow up technician came but it took more than 45 minutes for him to repair. We requested to change the room but no body bothered to do so. Service quality is very poor. Hotel ambiance is good and room also was good but they have to improve a lot in service. Visited the city on a business tour last week and booked it without any hesitation, considering its brand. On arrival, found every thing smooth starting from the location, to entry, hall, reception. But upon entry into the room, room design is nice, but, bathroom is too small. Also the AC wasn't working. The room service guy took more than half an hour to repair it and nor was a room change offered. And over time we realised that the room walls are incredible weak and noise passes on very easily and makes one feel very uncomfortable at night. Breakfast was okay the next day Overall, they experience was average. Doesnt live up to the standards. Maybe, time is needed, for the new owners, to get accustomed to the service quality. I suggest a more efficient staff. I have stayed with this brand in Paris, Nice (France) and Bali. And they were pretty satisfactory. But this was a horrible experience. These are few of the problems which I faced during my stay- 1. You can hear each and every sound from adjacent rooms. 2. Poor quality doors, Noice from lobby was coming like hell. 3. People were abusing with bad language in the lobby. Cheap people were staying due to heavy discounts offered by the hotel 4. Fridge wasn't working. 5. Hair dryer was not working 6. Had to call reception 4 times when a person came to see the appliances which were not working. 7. Room services were pathetic. Had to call atleast 3-4 times to get a work done 8. Swimming pool is open to outsiders also. Hence extremely crowded 9. There were no Sun Loungers at the pool. simple chairs were lying. Pool water was not clean The list can be extended but I guess this is much more to decide whether to stay in this hotel or not. We had booked a lot of rooms for some function with this Hotel, but I really did not enjoy the hospitality of this place, the staff is slow as hell and does not listen to your requests, I had a big fight with the managers as even after several reminders the staff couldn't repair or arrange for Hot water in my room! I even took a written apology for the same from them, hope they learn customer service after this incidence!!
"" Newly developed hotel with great amenities""
Best western plus 02 hotel is quite good. It is centrally located in the city and is famous. I have been here for lunch and stay. The stay was comfort. I wish to visit it again. Airport pick and drop facility is also there. The staff is good . The size of the rooms are big. I liked the suite room. It is also good for marriage purpose. The swimming pool is clean. The parking space is big. Overall a good experience . +)Situated at the midst of the city. +)Posh Interiors +)Green Peas -pure vegetarian dining option +)Check in / out very swift. +) breakfast variety -) Standard room size very small -) for complimentary breakfast have to move to beside building. "Superb hotel, great location, fabulous food"
"Nice, efficient and value for money place"
1. Stayed for a night with family on my recent vis to indore.. 2. The staff at reception was quite helpful and took precisely 5 minutes to complete the check in formalities.. 3. Valet parking was efficient 4. The suite was well maintained, clean and decent.. 5. Buffet breakfast was sumptuous and well prepared.. 5. Swimming pool was small but ok.. Overall a pleasant experience and excellent value for money being centrally located.. Stayed with my husband and three year old daughter in April 2016. Three and Half stars. Hits: Even my standard room was large. Clean and well maintained room and shower areas. Excellent room service and housekeeping coupled with attentive and polite staff. Reasonable spread at breakfast and lunch/dinner buffets.They smilingly accomodated my requests for plain rice and milk for my kid plus packed some kid friendly items to go on request. Central location of the hotel. Misses: Water in the shower was at the most lukewarm and cold most of the times. The cooling was slightly off on the last day of our stay even at 20 degree celcius. Poor lighting in the rooms ,need at least one bright light. Window views blocked with ugly view cutters which are an eyesore. The pool side functions can be disturbing in the afternoons as the loud music is reverbated across the entire building. Hallways reeked of smoke even when the rooms around me were non smoking. Overall a pleasant stay if the water and AC problems are fixed. "Best hotel ?? to stay"
"Best value for money property in indore"
Rooms Excellent. Washrooms Excellent. Breakfast very good. Ambience & decor very very good. Location near railway station & in a neat & clean area without noise. Reception okay. Service good. A.C. good. Most important cheap & value for money.I suggest the management to open a terrace restaurant in main block. Great value for money...! Rooms were clean, Service was good and prompt also there was good wifi connection. We will definitely choose Best Western again for our next visit. Overall we were very happy with our stay at Best Western. Wonderful hotel in Indore. Hotel looks magnificent, with nice lobby, corridors, rooms and bathrooms are absolutely spacious and clean. Would appreciate if the room lightings are improved, to have more light. This hotel seems to be value for money hotel. The complimentary breakfast spread is pretty good and nice. Probably you experience a star hotel feeling here. Absolutely fine....good hotel in Indore. "Good hotel for stay, value for money"
location is perfect, situated at heart of city. all major attraction are near by hotel. food & ambiance are really good. staff are very humble & helpful. clean room, good hospitality. hotel interior is also fine. "Permanent hotel whenever visiting Indore"
I have become a regular client for best western whenever I visit Indore, quite decent amenities, cheap when you have goibibo and makemytrip and their pure veg restaurant serves very nice breakfast in the morning..!! "Promising hotel but needs to improve service"
The hotel was good and the rooms were maintained well. WiFi speed is good. Food was not that great and need to improve on the food quality. Location of the hotel is good so bets to go out and have food as good locations nearby are available. Check out was a nightmare with having to spend around half an hour since the paper in the card swiping machine was over and they couldn't give it.Overall, decent hotel but can improve a lot !! Stayed at this hotel in Indore for a business trip and was completely satisfied. The location is very good and fulfills the need of the business travelers. The dinner and breakfast buffet both were good and most importantly the staffs were very cooperative and always served with a smile. Stayed at the hotel for one day in Jan 2016. Check in and check out was efficient. The rooms are decent but look dull because of slate grey tiles . The hotel was full of wedding guests who were a very noisy lot chatting aloud in the passage. The room was also next to the store room for that floor which meant that since early morning the hustle and bustle outside was disturbing. On my request the staff placed a ironing board in the room but the board was in bad shape and needed urgent replacement. It was bitterly cold in Indore so a hot water bath would have been welcome but the water turned out to be tepid. Breakfast was served in another wing. The service was chaotic as TT players from various nations were staying there for the world youth championship. Most of the dishes was getting over and we had to wait for a long time for a refill. The bed quality and AC were good. "Very decent hotel centrally located in Indore"
Was in Indore on a day trip, and used a room to freshen up and rest, which was also shared by a friend staying overnight. We got a corner room, not much by way of view but this is in the centre of town so, and it was quite big. The bed is comfortable, the toilet very clean, and the fittings are sensible. Most of all, the staff is helpful, without being too intrusive. My friend who stayed overnight was very satisfied with the hotel too. Room is provided with a kettle and complimentary tea coffee sugar and milk powder sachets. "Value for Maoney hotel @ Indore"
Excellent hotel at a distance of 10 mins from Railway station and situated at center of the city. A fresh and nicely done hotel. Rooms were clean and spacious. Very comfortable bed. Good quality toiletries. Spread of breakfast is very good in comparison to similar grade of hotels. Tried fish curry in dinner which was awesome. Overall a great hotel for business or leisure travelers. "Was there for the New years Party. At a lovely newly opened lounge. Good Music, Best Service." Rooms are good, Clean & nicely made. Location wise its in the center of the city. Food is very good. Food is served in 4 different locations. Hotel a Swimming pool too. Its small but nice and clean. Cafe is open 24 hours. "The best stay in Indore"
Have tried many hotels in Indore. But finally this is the "One" with all the good qualities at a very reasonable price & that too at the heart of the City. Be it the rooms, Food or the courteous staff. Everything in this hotel is very good. "Rooms are too good and what a ambiance"
First of its my first stay at Best Western and tell you its marvelous. Breakfast was too good. Food was good , everthing was available at breakfast , poha, continental, south indian , fruits etc... Rooms were very goo decorated . Recommend for all the guests , Area is also prime. Everything about this hotel is good. I was on a official trip. I got free wifi, great food, great room. The only negative was the mattress. It isnt hard. So would request the management to change that. Apart from that stay was very comfortable. "Good ambience, near to the city centre"
The ambience is very good, with some great furnishing and innovative lighting. The rooms were neat and clean and well furnished. Staff was courteous. It has two restaurants, but not great variety on the menu. Breakfast spread was very nice though. Overall, a good experience. It is wonderful hotel in the city, best place to leave like a king, it have best taste, main course, stater as well sweets. I would like to suggest you to stay Best Western Plus because it is chain of seven star hotels. I stayed in this hotel during my stay in Indore. The hotel is beautiful & the staff are really helpful. They managed to get me some medicines when I was sick so really appreciate them for this. However, there could be some improvements in the hotel. 1. Bathrooms could've been a little better 2. Wifi seemed to be really slow in my room 3. Food(Non-veg) were decent, and could've been better. stayed in best western plus hotel for 2 days.. Hotel is situated in heart of Indore..Good location.. Nice and spacious rooms..good WIFI speed and internet connectivity.. but washroom are quite small and no separate glass partition for shower.. room are not equipped with room heaters.. Food is good and they have one 24*7 restro also but haven't tried it.. So overall it is good.. would rate it at 3.5/5..
"The best Package hotel in Indore"
I have stayed here 3-4 times, the experience has always been good. They offer very good room and food package. The location is great as it is near Railway station and Volvo bus stand. Food was great including the breakfast and dinner with live music on the roof. "Beautiful hotel but saw something horribly wrong! " It's an excellent hotel in terms of facilities and services. Probably the only 3 star hotel in Indore which has a swimming pool. I stayed there in a standard room for 3 nights. Very beautifully maintained and the complimentary breakfast is too good. However, I saw there were people in room no. 214 smoking openly which is prohibited by law. The smell was coming inside our room as well which is quite unpleasant. I didn't inform the hotel at that time as I have no one in indore and was with my wife and kid.... Didn't want to get into any problem as I don't know who those ppl were. I was shocked to see this, how come they don't have smoke detector in the rooms? Especially when they endorse on the doors that these are non-smoking rooms. This completely tarnished the pleasant experience at the end. We, 3 families, stayed in BWP between 14-16 December. The hotel overall is nice and checkin was handled efficiently. But our good experience almost ended there. Once we reached on our floor, we were told that our room was not yet ready. It was actually not an issue since we were 3 families so we settled in one of the rooms. However, I would prefer from a hotel of this class to be ready with basics like this. Note, our checkin time was 2030 so there was ample time available to the hotel guys. Since the room was apparently made at the last minute, there were things missing which we had to ask for. Service was quick and we got the stuff very quickly. Even room service is quick. I was, however, surprised when at night I asked for extra pillows. The guy at reception said that for 2 guests they give only 2 pillows. The hotel advertises itself as a 4 star delux hotel and cannot even provide services worth a 3 star!!!!!!!!! By the way, one of the other families in our group had 4 pillows in their room :) :). Eventually I had to cope up without the extra comfort. Breakfast was ordinary with limited options. The guy at live counter rudely informed us that if we need more omlett we will be charged for it. Now maybe we asked for one omlett too many or the breakfast time was over but there are better ways to treat your guests, especially when you tag yourself a 4 star property. How about explaining, with a smile, that the breakfast time is about to be over and if we need we can place the last order after which additional orders may be charged!!!!! The food is costly, apparently the only things that gives you a feel of staying in a 4 star hotel. All in all, I would rate this one as an average experience and may not prefer to stay again at the same place. "Good property for business trips"
A good budget hotel to stay for short business trips. The best thing is the rate. We had a team of 9 persons who stayed here during 2nd-4th Dec. I had a single occupancy double bed room at Rs 2K + tax which covered breakfast, dinner & one way airport conveyance & free wifi. The room was good enough & breakfast/ dinner spread also great. Although breakfast/ dinner was vegetarian, but the food taste was definitely good. There was initial hiccup when I was checked in a room having damaged floor bead which hurt me. They immediately changed my room & I had nothing more to complaint. They provide free wifi which works good enough. Overall, a very good stay & recomended. You definitely cant ask for more against what you pay. The moment you enter you get a refreshing feel, the property is around 20-25 minutes drive from the airport, in the heart of city having large rooms, descent restrooms, ever helpful and smiling staff, very good spread of buffet breakfast... Overall an energising stay for a business traveller...!!! Although the name is Best Western, the hotel is rather average. Location is good but the service is confused. Although I booked almost a month in advance, on arrival I was given a room that was not cleaned after the last guest left! One had to struggle to get the basic services. I had to stay here as my regular hotel did not have room. Would not like to come back. "By far the most amazing experience of staying at a hotel"
I have visited this hotel three times and each time it just gets better and better. Right from picking you up from the airport and later dropping. The service here just know what you want. They might even ask to bring something which you would be hesitating to ask. The room service is fast. The hotel rooms are super clean as if they haven't been used ever before. The reception is helpful. "Feel the Warmth of Excellent Service"
We stayed in Hotel Best Western for two days from 20th October to 22nd October . Everything about the hotel enchanced the stay. The rooms were small but had all the amenities. We also had lunch at Green Peas, the vegetarian restaurant. The food was tasty would be an understatement. The breakfast was good and so was the buffet dinner we had once. A nice stay . "NICE HOTEL IN INDORE WITH EXCELLENT SERVICE"
Visited Indore between Friday 11th September to Sunday 13th September. We were 3 adults and in fact were reaching as early as 7:30 am ( against a check in time of 12 noon ) . Had emailed a early check in request and were pleasantly surprised when the front office was ready / they had our request on the table / the room was ready and the check in was smoother than i have experienced in much larger 5 star Hotels. Room alloted was an upgrade and was practically a mini-suite. The hotel is more of a business hotel but very well maintained and clean. Restaurant though small is very good and manages an excellent spread in Breakfast. We had buffet dinner also and there too the dish selection was excellent as well as good value for money. Restaurant staff is very motivated and gives personal attention and service. Location of Hotel is good and with OLA & UBER now operating all Indore is accesible easily. Likely to become our Hotel of choice in Indore. "Very good Hotel in the vicinity"
I got the room booked in one the best deals ever online. Stayed there for 4 nights in the Mini Siute. Overall experience was great. The Central Mall and Indian Coffee house nearby was again very useful. i stayed there with family & relatives in August end for 1 night. Rooms are quite spacious with clean large bathrooms. Had buffet dinner in one of their restaurant. Some of the items were very tasty. The staff went out of the way to prepare 1-2 dishes specially for our groups. The room tariffs are very reasonable. Quite impressed with the quality. The hotel has a good room service and cleanliness. The rooms were spacious. The location is good as its just 20 mins away from the airport. Hotel interiors are mind blowing. Staff is co-operative. Food is great! Mine was a family trip and had arranged cab service to Ujjain and sightseeing from the hotel itself. I was travelling with an infant so had to get his food done. The hotel was very helpful in arranging the same. Overall, an awesome trip and stay at this hotel. Located in the heart of the city,this 3 star deluxe hotel is a decent,well maintained and comfortable property.The receptionist,Adil Khan,very efficient,polite,Infact he completed our check in and check out in no time.The room,slightly different,with a dining table,chairs sofa set,in the outside portion and the bedroom,inside with LED.The AC,very good and tea coffee maker,refrigerator,also available for the guests.The washroom,okay okay,toiletries and other accessories good.The room service staff,very quick,however dinner ordered,first night very oily and heavy,2nd night,they prepared as per our instructions and therefore good.Complimentary breakfast,vast variety and food quality delicious.Housekeeping staff,also very quick,polite and easily available.The hotel,ideally located,near the Central Mall.Lemon Tree Hotel and Shops,to sum up a good property. I loved my stay at the Best Western Plus O2 hotel in Indore. The room was very spacious, and well-appointed. The bathroom was clean. The staff was courteous and friendly. We had requested for early breakfast, and they arranged it with a smile on both the days we'd asked for!